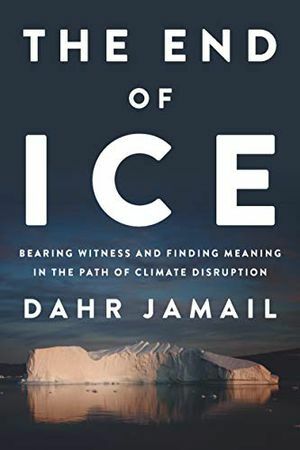 In his new book, The End of Ice: Bearing Witness and Finding Meaning in the Path of Climate Disruption,Jamail travels to meet members of these communities and chronicle their stories. While reporting the latest climate science from the field, including melting ice sheets, rising seas and bleaching coral reefs, Jamail never loses sight of the people already being directly affected, including fishers, hunters, farmers and island-dwellers like those of St. Paul. “It’s hard to talk about climate change when you see how it affects this community in the human sense. I eat, sleep and breathe this lifestyle, and I care heavily for this community,” says Simeon Swetzof Jr., mayor of St. Paul, in The End of Ice. The civil servant describes his town as the canary in the coal mine of the fishing industry, which is on the verge of collapsing in the region. St. Paul’s residents are a clear example of changing ecosystems exacerbating economic inequalities, Jamail argues, since it’s the world’s poorest who are least equipped to respond to such changes. Jamail is perhaps better known for his war reporting from the Middle East in the 2000s, especially during the Iraq War. He wrote about the plight of both overseas soldiers and local civilians caught in the crossfire. While American troops and Iraqi families contended with violence that frequently afflicted them with post-traumatic stress disorder, Jamail says the people of St. Paul and other Arctic communities suffer from a similar stress and anxiety that is no less palpable. “Up there it was a low-grade yet very persistent kind of trauma. There was a layer of fear in everyone I spoke with when I would breach the topic. There was definitely a simmering anger, too,” Jamail says. To see climate change in its most turbulent form, Jamail traveled to visit the Inupiat people living in Utqiagvik (formerly known as Barrow), the northernmost town in the United States at the tip of Alaska’s North Slope. 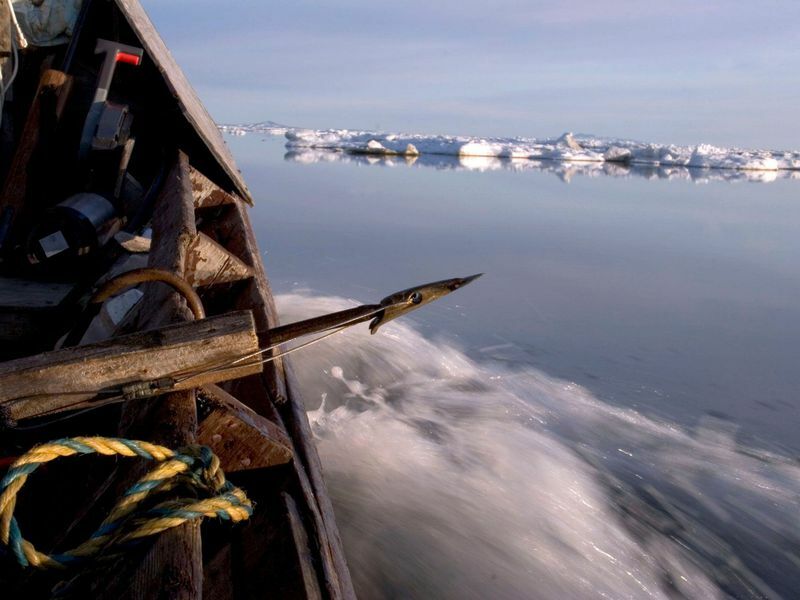 For centuries, communities in this remote outpost depended on hunting bowhead whales and seabirds, but like in St. Paul, subsistence living has become increasingly difficult. The few whalers left need larger boats to navigate rougher seas, thanks to bigger waves produced by receding ice, and they have to go after smaller, younger whales whose weight will not break through the thin ice sheets while they are butchered. While the lower 48 have warmed about two degrees Fahrenheit, Utqiagvik has warmed one degree every decade since 1950, says Stephanie McAfee, a climatologist at the University of Nevada, Reno. And those higher temperatures come with serious consequences. The population of some 4,400 people has to deal with a shorter snow season peppered by occasional heavy blizzards, melting permafrost and the sinking infrastructure built upon it, and further reductions of sea ice removing a buffer that protected the shoreline from erosion as sea levels rise. As Jamail recounts in his book, Cindy Shults, a staff member of KBRW radio in Utqiagvik, witnessed the baseball field where she used play as a child gradually devoured by the ocean. Some of these changes come with ominous tipping points. As the permafrost slowly thaws, it releases massive amounts of stored methane, a greenhouse gas more potent than carbon dioxide. And as sea ice declines—scientists predict the Arctic will have ice-free summers by mid-century—it uncovers more ocean water that absorbs heat faster, accelerating warming. The latest National Climate Assessment, released on November 23, specifically drew attention to climate impacts in Alaska. Damage to Alaskan buildings and coastal infrastructure will be costly to repair or replace, especially in isolated areas, the report states. Consistent with Jamail’s reporting, climate scientists write in the report that impacts on Alaska’s indigenous peoples’ subsistence activities, culture and health will also increase in the future. 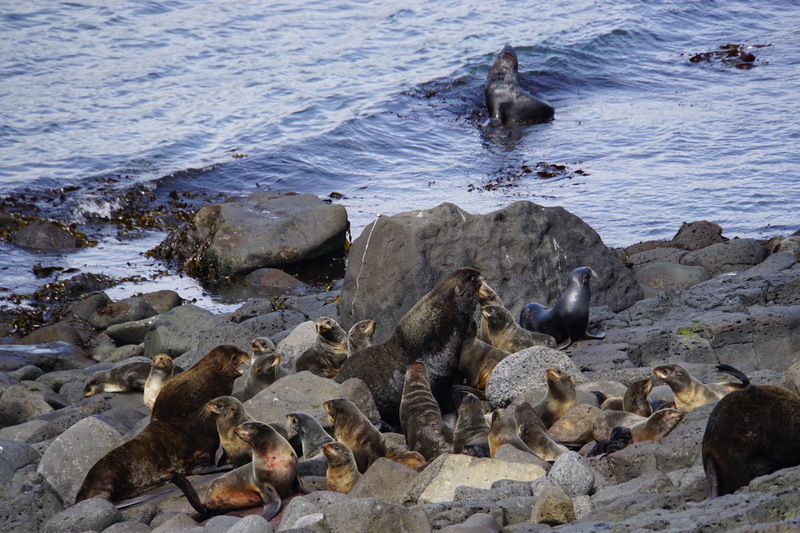 To mitigate those ongoing changes, Alaskan communities will have to prepare and adapt. Because of the growing perils facing them, Jamail argues that Utqiagvik and at least 16 other towns and villages ultimately will have to relocate and retreat from the coast and other eroding areas. If, or when, that happens, it will be logistically challenging and likely culturally disastrous as well. Unfortunately, however, the Trump administration closed the Denali Commission, an Anchorage-based program designed to help with climate adaptation, including through the relocation of towns. At times in his book, Jamail seems to pick from worst-case scenarios, quoting news reports about climate studies that point to the imminent end of ice beyond the poles, the rapid loss of permafrost, and the collapse of coral reefs across the globe. But through the gloom, The End of Ice is about developing a stronger connection to nature, which Jamail says many people living in urban areas have lost or left behind.